DSTV is a premium direct broadcast satellite service that is owned by MultiChoice, a company which has its headquarters in Randburg, South Africa. The company, which was officially launched in 1995, operates all across sub-Saharan Africa, except Somalia, providing multiple channels and services to its subscribers through a highly innovative service and affordable subscription packages. The services which the cable company provides include DSTV Now, an on-the-go entertainment service for live broadcasts of news and sports, for downloading and streaming of movies and series, as well as for managing your DSTV account. Others are High Definition PVR decoders and channels, and a Box Office service for the latest blockbuster movies. There is also the online subscription service which allows you manage your monthly bouquet subscription effectively from the comfort of your home. Another notable feature from DSTV is its business package which allows different types of business establishments like hotels, clubs, and offices, make its own specific selections on the exact type of channels different customers can have access to through the use of just the TV remote control. This service is different from that enjoyed in households and fees vary according to the type of selection. DSTV offers a variety of packages that are tailored to suit the needs of different customers. Here is a break down of the different DSTV packages. The Premium package is the highest bouquet the company offers. It gives customers access to all the available channels (185) on the satellite service, offering the best entertainment, sports, documentaries, and kids channels from around the globe in high definition. It also includes 30 CD-quality audio channels. The Compact Plus package was made with lovers of sports in mind. It perfectly combines great entertainment and great value with access to 174 channels. It is a slight step-up from the Compact packages because of its two additional sports channels. The Compact package gives customers access to a wide variety of programmes with 167 available channels that include channels like Africa Magic Plus, MNET Action, CNN, and BBC. It also has a selection of audio channels. The Family package is a bouquet that was created with the family in mind. It offers a range of entertainment through its available 112 channels at a more affordable monthly subscription. Channels available on this package include Universal Channel, Sony Max, Africa Magic Movies and many more that are perfect for quality family bonding. The Access package is the introductory/entry-level bouquet offered. It is the cheapest available package as it offers customers choice and value for money with its available 92 channels. 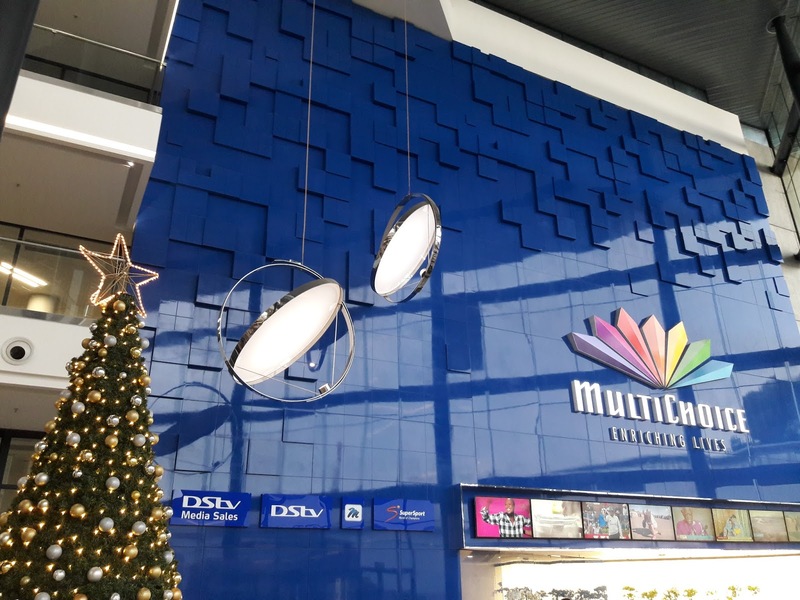 DStv Self Service is a feature that allows customers manage their respective DSTV accounts without having to get in touch with the Call Centre. Here is a list of the things customers can do with DSTV Self Service. 6. Update your profile and personal details, and much more. To use the Self Service feature through your mobile phone, dial *120*68584# on your device and follow the prompts (South Africa Only). To use it online, log on to DStv website and do a one-time registration to make use of the website. You can also follow Self Service on all the social media platforms; @DStvSelfService on Twitter and Self Service on Facebook, and send the genie a message on it. Even better is the DStv Now app for iOs & Android. You can download the app and register in order to get your “Connect ID” which will be used to open up a portal to DStv Catch Up online, BoxOffice on your desktop, and other great Self Service options such as managing your DStv account. The company has its offices and call centers all across the continent. To get the contacts to the nearest call center around you, go to their website and click the contact us button to get more information. For customers in Nigeria (Lagos and Abuja), you can visit or call any of the following offices below. Plot 1381 Tiamiyu Savage Street; Victoria Island, Lagos State. Multichoice Nigeria Center Number: 1 270 3232 or 080 3900 3788. Lagos Office Fax: 01 270 3256. Legion House, 3 Kaura Namoda Street Area 3 Garki, Abuja. Multichoice Nigeria Center Number: 2347291/2. Address: Multichoice Head Office First Floor, Sarit Centre, Westlands, Nairobi.